The word shako originated from the Hungarian name csákós süveg ("peaked cap"), which was a part of the uniform of the Hungarian hussar of the 18th century. Other spellings include chako, czako, schako and tschako. Made of heavy felt and leather, it retained its shape and provided some protection for the soldier's skull, while its visor shaded his eyes. 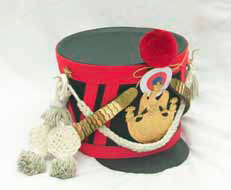 The shako retained this pre-eminence until the mid-19th century. Napoleon 1. Empire. This style of military headdress was part of the equipment of Napoleon's line infanterie regiments, which took part in the fights for the invasion of Russia. This page was last modified on 18 May 2014, at 20:13.